Bo is the Lead Research Scientist at Forest, where he leads the research and development of algorithms, signal processing methods, and computational modeling. Dr. Luan also contributes to a variety of engineering efforts including the architectural design of both hardware and software. Before joining Forest Devices, Bo received his Ph.D. degree in electrical engineering from the University of Pittsburgh with focuses on signal processing, embedded system design, and bioengineering. 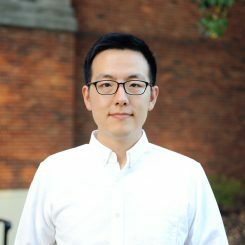 He conducted his Ph.D. research at the Computational Neuroscience Lab in School of Medicine, where he developed wearable, non-invasive, and self-contained devices for physiological monitoring (EEG, ECG, blood pressure, etc.) in various clinical and non-clinical settings. Bo is very passionate about using innovative and cutting-edge technologies to improve healthcare efficiency and promote people’s health.